Game of Thrones, S08E01: Cersei is out of the Running for the Iron Throne. The brightest minds of Westeros, with the exception of Cersei, are all on different sides in this conflict. The means of war available to Cersei are inferior to that of the other factions. 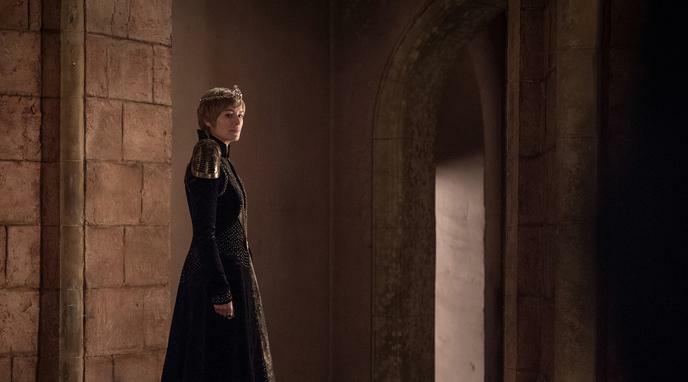 Cersei currently resides on the throne, hence she certainly isn't out of the running. Cersei can wait for her enemies to decimate each other. She has no need to directly get involved in the worst clashes of the impending conflict.